I was born and raised in the United States, and relocated to Tel Aviv in 2017. Growing up in Oregon, I started taking dance and yoga classes in high school. This developing passion led me to pursue Movement Studies at Pitzer College in Claremont, California, where I completed my Bachelor of Arts in Dance in 2015. I have studied a variety of styles of yoga over the years, including Vinyasa, Hatha, Yin, and Restorative. In the fall of 2015, after graduating from college, I decided to deepen my yoga studies and enrolled in the Three Sisters Yoga 200-hour Yoga Teacher Training. I completed the program and became a Registered Yoga Teacher in 2016, and have been teaching ever since. In 2018, I completed a Yin Yoga Teacher Training with Noga Weiss. I am excited to share the benefits of Yin Yoga practice with others. In the spring of 2016 I studied Personal Training with the National Academy of Sports Medicine. Since then, I have furthered my understanding of the human body through courses in anatomy and physiology at Portland Community College. In 2017 I studied with the Functional Movement System and completed my Functional Movement Screen certification, providing me with a greater foundation for assessing movement efficiency and biomechanics. My fitness interests extend beyond yoga and dance. Having grown up in the Pacific Northwest, I am an avid hiker and have spent countless hours roaming the trails of Mount Hood and the Columbia River Gorge. I started running in November 2015, and have been running ever since. One of my fondest memories is my first race - The Bridge of the Gods Half Marathon in 2016. I also enjoy cycling, swimming, and taking Pilates classes. 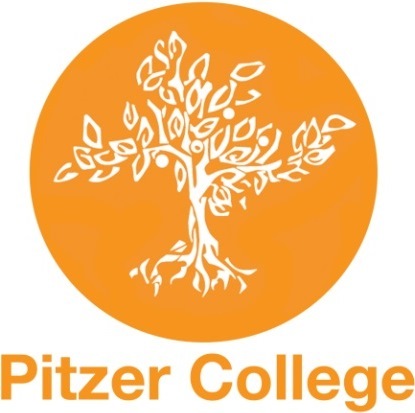 Pitzer College offers a BA in Dance, with a concentration in Movement Studies. This education includes studies in anatomy, kinesiology, Laban Movement Analysis, somatics, and Alexander Technique, along with technique classes in Ballet, Modern, Jazz, Hip Hop, Flamenco, and West African Dance. The Three Sisters Yoga 200-hour Teacher Training provides an excellent foundation in Yoga philosophy, Asanas, and anatomy. Jen Whinnen and her co-instructors have a well-rounded approach to Yoga education and work to foster curiosity and open-mindedness in their teacher trainees. The NASM Certified Personal Trainer course provides an in-depth education in health and fitness coaching. Over the duration of the program, participants study objective, subjective, and biomechanical assessment, flexibility, balance, core, power, agility, resistance, and cardiorespiratory training, as well as nutrition. Noga Weiss' Yin Yoga Teacher Training explores the philosophies and practice of Yin Yoga. It includes training in sequencing, Chinese medicine, and fascia. The Functional Movement Screen is a tool used widely by Personal Trainers and Physical Therapists. It is designed to identify mobility and stability imbalances and to assess the efficiency of a client's movement patterns. The FMS motto is "Move well. Move often."